The spokesperson for the President Muhammadu Buhari Campaign Organisation, Festus Keyamo made the big announcement. A big twist has been added to the build-up to the 2019 presidential election. While former president, Olusegun Obasanjo has vehemently kicked against a second term for President Muhammadu Buhari, his son, Olujonwo Obansanjo has surprisingly joined the campaign team of the APC candidate. The spokesperson for the President Muhammadu Buhari Campaign Organisation, Festus Keyamo, took to his Twitter account (@fkeyamo) to reveal that he received the former president's son in Abuja on Wednesday, October 17, 2018. He posted, "Obasanjo Joins Buhari’s Campaign Team: From Left - Alhaji Nasiru Danu (The Dan Amarna of Dutse & Director of Logistics, PMB Campaign Organisation), Olujonwo Obansanjo (son of OBJ) and my humble self as we officially received OBJ’s son at d PMB Campaign Headquarters today in Abuja." 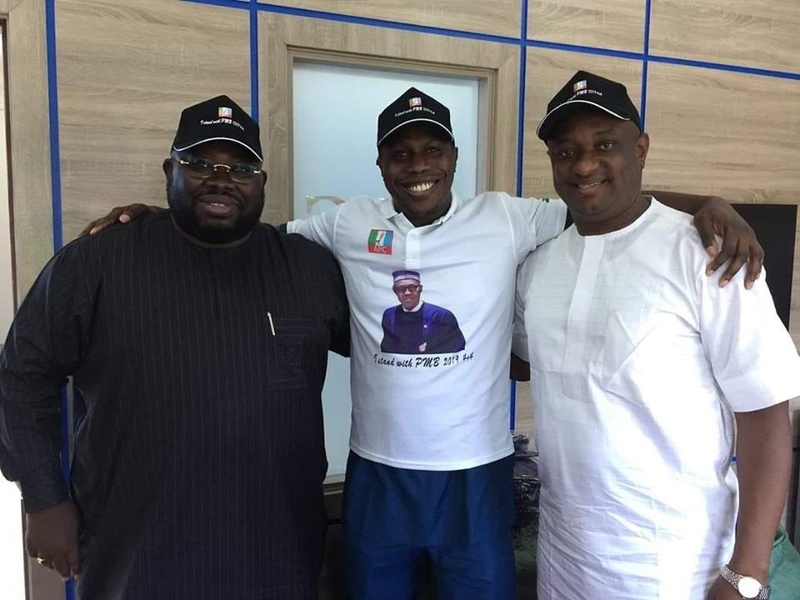 Olujonwo recently declared his support for President Buhari, a move that's at cross purpose with that of his father who has persistently criticised the current government in recent times. Last week, Obasanjo publicly endorsed his former vice president, Atiku Abubakar, of the People's Democratic Party (PDP) to beat Buhari in the 2019 presidential election. Obasanjo has even called Atiku the next president adding that he would edge Buhari out of the Presidential Villa next year. Whether it is Obasanjo that would laugh last next year or his son, Nigerians are watching the drama playing out.